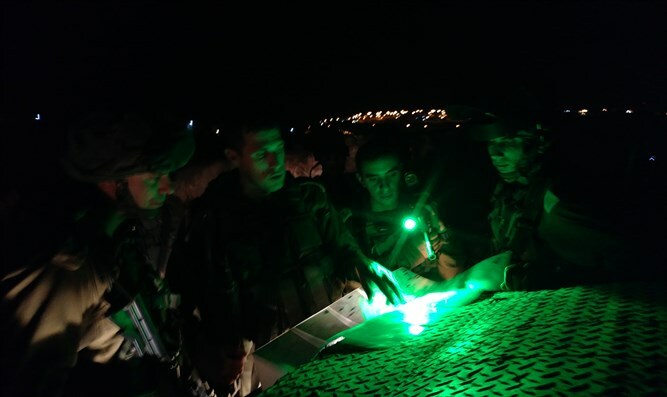 IDF forces on Wednesday night arrested eight wanted terrorists in Judea and Samaria. Five of the terrorists are suspected of involvement in "lone-wolf" terror attacks against civilians and security forces. They were arrested and taken for interrogation. In a separate operation on Wednesday night, Israel Police arrested a Jerusalem Arab who serves as a senior figure in the illegal terrorist organization Shabaab Al-Aqsa (Al-Aqsa Brigade Youth) and is identified with Hamas. The Jerusalem terrorist is suspected of transferring money from Hamas into pre-1967 Israel, as well as actively participating in disruptions on the Temple Mount last year. He also publicized a statement identifying with and praising incitement on social media. An indictment will be filed, and the terrorist has been arrested until the completion of legal proceedings against him. In addition, IDF, Shabak (Israel Security Agency), Border Police, and Israel Police carried out a joint operation in Hevron, where they confiscated thousands of shekels form an illegal Hamas-run "charity." All of the above activities are part of the efforts to prevent terrorists' families from receiving payment for their relatives' attacks, and to prevent the encouragement of additional attacks. 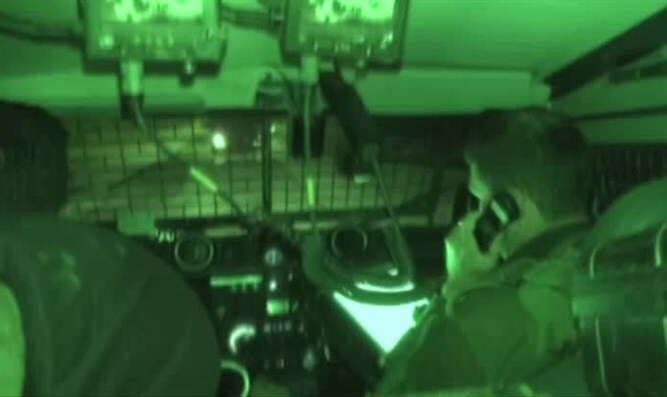 The video below shows the arrest of a Hamas terrorist, as filmed by Arutz Sheva reporter Eliran Aharon, who accompanied the soldiers on their operation.